The beautiful Spring weather has arrived in Colorado and the cold days are behind us! But we all know that living in Colorado means unpredictable weather and eventually we will be once again enjoying the winter snows. Having an SUV that can handle varied weather conditions will easily take you from the warm and pleasant summer through the snowy winter, from rain to ice with ease. The Jaguar E-PACE S AWD is an SUV perfect for sunny days but equally ready for the less desirable conditions. The Cold Climate Package that comes with the 2018 Jaguar E-PACE S AWD in our inventory helps you stay toasty in the coldest of weather, with a heated steering wheel and heated front and back seats to quickly warm everyone in the car. The package also comes with heated front and back windshields with heated washer jets, meaning you won’t need to worry you can count on a clear view no matter the weather. The AWD system in the E-PACE also helps you maintain better control on wet or icy conditions, while also giving you fantastic handling all year long! 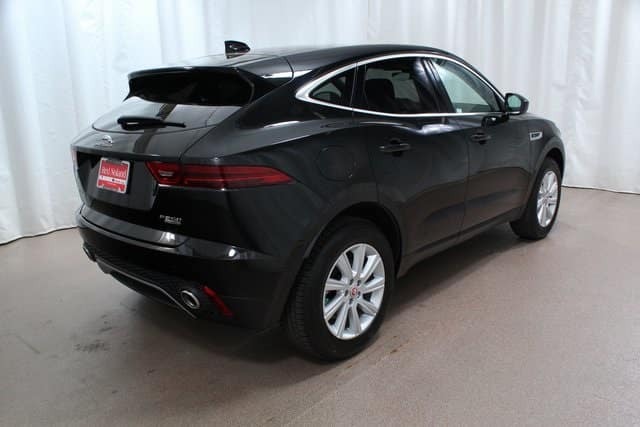 Don’t wait until Winter to try and find an SUV that will handle the inevitable snow and ice, stop into Jaguar Colorado Springs and take home the 2018 Jaguar E-PACE S AWD with the Cold Climate package today! The E-PACE is a fantastic SUV that will be dependable and efficient every day of the year!